Whatever identity crisis and legal wrangling may be going on at SoundCloud at the moment, the site’s DNA is all about creation. That’s where the site came from – initially, with labels and producers as a way of sending around tracks – and it remains the strong point. SoundCloud is the operating system for music sharing and discovery for creators much in the way Facebook is the OS for social interaction and YouTube for video. So, here’s a change of pace. The site has a new mobile app out geared not just for listening, but for creators managing accounts. And, here’s a reversal: while the app coming to iOS soon, it’s Android first. 1. Reply to comments right in the app. 2. Check live stats on how your tracks are performing. 3. Set sharing for tracks you’ve uploaded (public/private). So, it’s the ideal app to have in your pocket when you meet someone and want to check out their music, or make some quick changes to active accounts. 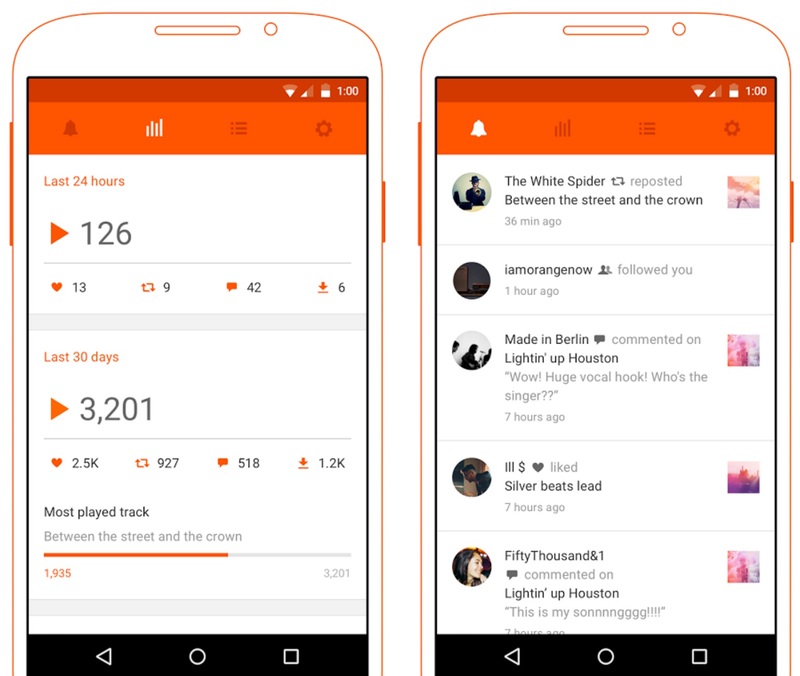 None of this is likely to satisfy impatient SoundCloud users, but it at least demonstrates mobile apps are pointed in a more creative-friendly direction.